My first collection of stories! I (self!) 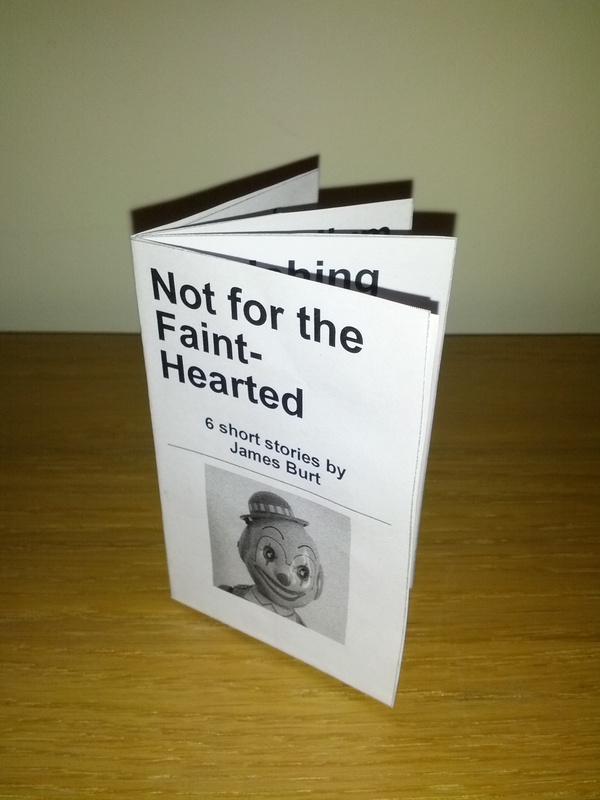 published my first collection of short-stories today. It’s an A7-sized volume with 6 stories, totalling less than 600 words; all were written in sessions at the Not-For the Faint-Hearted workshop. Rosy Carrick said that it was “The best collection of stories I’ve ever read“, and you can trust her as she’s almost a doctor. If you’d like a copy, let me know and I will post it to you next week. Thanks to Natalie Downe whose pocketbook template was used for the layout. So much better than having to lay everything out by hand using my terrible writing. I’m thinking of doing a tiny travel-guide to India next).